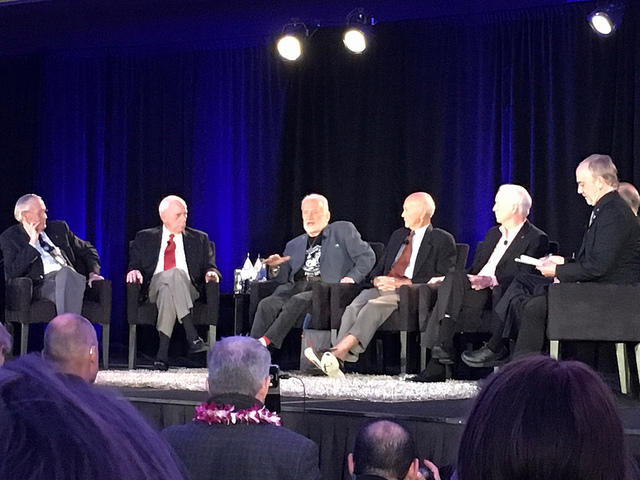 Last Saturday all of the 10 living Apollo astronauts including those that walked on the Moon were present at the annual Explorers Club dinner. A symposium before (photo shown) with six of them filled a meeting room and was filmed by the Discovery channel for a show later in the Summer for the 50th anniversary of the landing. Living history and tales of Lunar observing in the most direct way possible, by visiting the Moon. The press was present so articles should be appearing soon. Interesting. Looking forward to the 50th anniversary of Apollo 11 Landing and all the missions too before and after.